Wheelchairs Against Guns would like to invite all New York City children, ages 6-18, to the first annual Sugar Hill Basketball Clinic. Registration is FREE and all kids will get FREE t-shirts and lunch after each game. Clinics will be held every Saturday, during the summer, from 10am – 12pm in the park of PS 28, located at W. 156th Street between Amsterdam and St. Nicholas Avenue in Harlem New York. 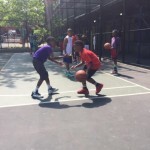 The Sugar Hill Basketball Clinic was created to present an alternative to kids hanging out on the street. For two hours, parents can take comfort knowing their children are safe playing in the park and not hanging out on the corner getting in trouble. I n addition to learning the fundamentals of basketball, the clinic is designed to teach children the value of teamwork, build positive self esteem, and develop critical thinking skills that will help them make better decisions. 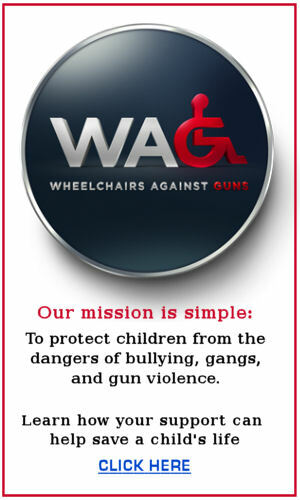 Wheelchairs Against Guns is a non-profit organization comprised of men living with disabilities as a result of gun violence. During the school year, members of the organization visit New York City schools to conduct anti-violence workshops that teach students practical ways to deal with bullying, gangs, and gun violence. “At our workshops, we teach students three lessons — critical thinking, how to have positive self-esteem, and conflict resolution strategies. 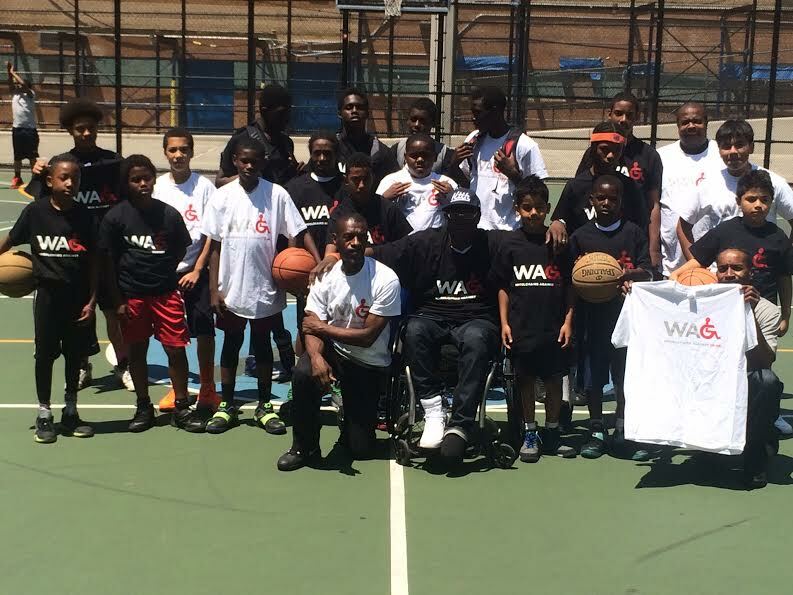 The basketball clinic was created by our COO Terry Parris, as a way for WAG to give back to the community, while continuing to reach the youth during the summer months when they are out of school. In our opinion, there is no better way to teach these life lessons than through a sport where you have to apply each of them to get a positive outcome. We want the lessons they learn on the court to carry over into the other areas of their lives. For instance, if a kid gets fouled in a game, he can’t just lost control and punch another player in the face. He will have to exercise his critical thinking ability to control his behavior and not have a negative reaction. If another player starts trash talking him, he will have to call on his positive self esteem to stay confident in his abilities and ignore the trash talk so that he doesn’t get thrown off his game. Or if his team wins, and the other team starts pushing and shoving because they are sore losers, then he’ll need to remember one of his conflict resolution strategies and walk away. Overall, I’m really proud of what we have been able to do out here. We got this basketball clinic off the ground with no budget or donations. So above everything else, I would also like to acknowledge our staff. None of this would be possible if these gentlemen didn’t volunteer their time to coach these kids. They do it for the love of our future generation.